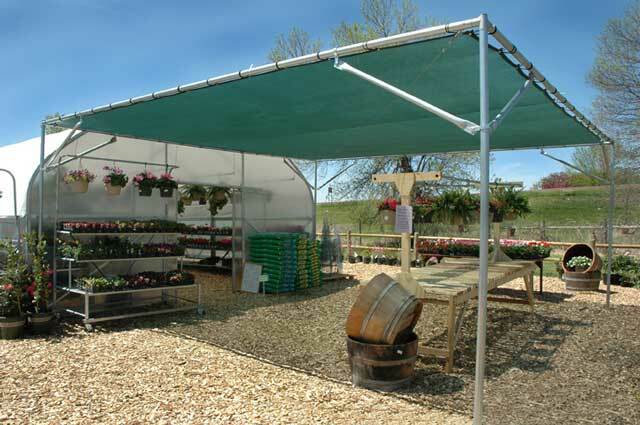 Our Shading House was designed to be a simple, low-cost shade solution for your seasonal garden center. 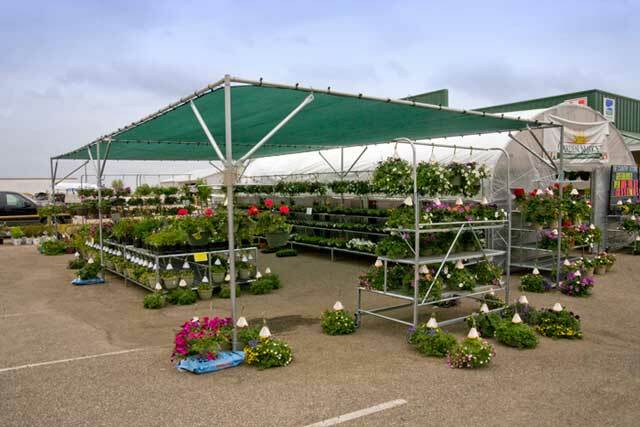 Protect your plants from the blazing sun while providing a cool, comfortable shopping environment for your customers. 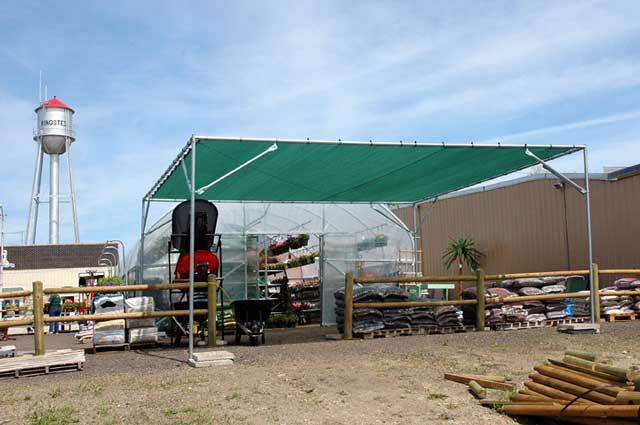 Reduce your watering requirements and keep your product in top-selling shape. 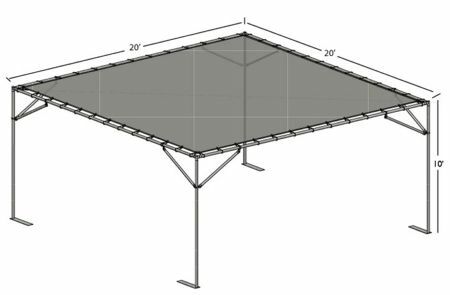 The easy-to-assemble, modular design features galvanized steel construction and an extended base plate that allows you to use your palletized product for hold-down. 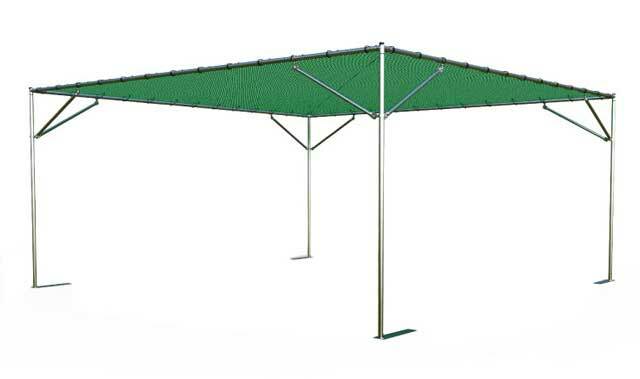 No more holes in your parking lot!